Biliary dyskinesia (BD) is the term for a low-functioning gallbladder and is a disorder characterized by the inability of certain parts of the biliary system to facilitate the normal flow of the bile. Biliary comes from the word bile. 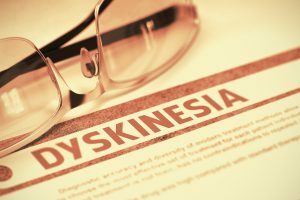 Dyskinesia simply means a disorder in functioning. The bile which is crucial in our body’s digestion and detoxification is produced in the liver and then transported to the gallbladder for storage and concentration. Under normal conditions, ingestion of food automatically sends signals from the brain to the biliary system, triggering muscular contractions within the gallbladder and peristalsis or muscular action in the bile ducts. Through these signals, concentrated bile is released in sufficient quantities through the common bile duct into the duodenum. Ideally, the bile is just enough to help in the breakdown of the ingested food and assist in the assimilation of vitamins and minerals throughout the body. However, in the case of biliary dyskinesia, there is a disturbance in the somewhere, whether in the neural or hormonal signalling or the ability of the gallbladder to contract, resulting in reduced ejection of bile from the gallbladder. Biliary dyskinesia is also called by different names. Some references and literature refer to it as functional gallbladder disorder, gallbladder spasm or acalculous biliary disease. It is more often a symptom of a disease like cholecystitis, gallstone or pancreatitis, rather than being a disease itself. According to the analysis of The American Journal of Surgery, the ten-year record of reported incidences and cholecystectomy for biliary dyskinesia showed that the disease is much more rampant in the US and rarely found outside the country. Even children are no longer exempted from this trend, perhaps due to the parallel rise in pediatric obesity. BD should not be confused as another motility disorder of the biliary system called the Sphincter of Oddi Dysfunction which can be pancreatic or biliary in nature. There are some of the opinion that a low-functioning gallbladder is the beginning of gallbladder disease. Biliary dyskinesia may give rise to biliary sludge in the gallbladder, which in turn can form into stones. In other words, this could just simply be the progression of gallbladder disease. However, biliary dyskinesia is not always under functioning. It can also over function, causing a different set of symptoms. Biliary dyskinesia has two types – hyperkinetic and hypokinetic. This type, also known as hyper motor dyskinesia of the biliary tract, is much rarer than the hypokinetic type. 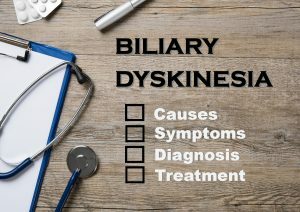 Hyperkinetic biliary dyskinesia happens when the gallbladder contracts too often, or too much while the sphincters do not open up fully. This means that there is overabundance of bile which does not stay long enough in the gallbladder for storage and concentration. Ejection fraction of above 75% is classified as biliary hyperkinesia. One theory is that people with this condition may have an excess of receptor sites for cholescystokinin (the hormone causing gallbladder contraction) within the gallbladder. There are only a few studies about hyperkinetic BD because the chance of developing it significantly reduces as we get older, unlike the hypokinetic type.It is also not nearly as common as hypo.This is unfortunate in that this is a debilitating and painful condition with little offer of help beyond surgery which does not always resolve the symptoms. Hyperkinesia symptoms are similar to the manifestations of biliary dyskinesia in general. Two remarkable characteristics however are extreme pain and emergence of pain in the heart. This degree of pain is brought about by the sudden increase of pressure within the gallbladder and hypertensive sphincter of Oddi. Cardial manifestation by gallbladder diseases is not uncommon in the case of hyperkinetic biliary dyskinesia. Symptoms like tachycardia (increase of heart rate), hypotonia (loss of muscle strength that may affect the nerves and nervous system), and weakness are often found in patients with this condition. More studies and related literature are available for this kind of BD. It is more common in females and the risk of developing it increases as we age, making it prevalent among the middle-aged and elderly population. Hypokinetic BD is the condition wherein the gallbladder exhibits ejection fraction lower than 32%. While agreement on normal ejection rates vary, most put it somewhere between 33 – 42%. Age – older people are better candidates for gallbladder disease than younger ones. However, hyper dyskinesia are more common in children and younger adults. Obesity – people who are overweight have greater chance of having dysfunctional gallbladders. Stress – Stress can do a lot of things to our body. Numerous studies that that cognitive health can significantly affect bodily functions. This includes the development of BD. It is said that dopamine receptor dysfunction can prompt BD. It is also believed that the gallbladder has difficulty picking-up signals from the brain triggering the release of bile when a person is stressed. Cholecystitis or inflammation in the gallbladder wall inhibits its ability to contract. Neurodegeneration – Vegetative dysfunction also known as autonomic dysfunction is the most widely known cause of biliary dyskinesia. It is a form of neurodegeneration. Degeneration of the nerve cells not only happens with aging, but with young people as well. Inflammation contributes to neurodegeneration as does insulin resistance or blood sugar swings. In particular, BD is influenced by the vagus nerve since it stimulates gallbladder contraction and is directly involved with the parasympathetic and sympathetic nerves as well. Malformations within the gallbladder and biliary system – Sometimes, our anatomy can be blamed for the inability of bile to flow properly. Such abnormalities can either be in-born and inherited or they can be caused by constant inflammation in the organ. Hypothyroidism – Numerous studies have already been conducted proving that hypothyroidism has an effect on overall gallbladder health. First, it increases the likelihood of developing common bile duct stones. Second, and more directly related to BD, the thyroid hormone relaxes the sphincter of Oddi which controls the dumping of bile into the small intestine. Due to lack of thyroxine among those with hypothyroidism, less bile is allowed into the small intestine. The thyroid also affects the vagus nerve and slows down digestion including contraction of the gallbladder and the peristaltic movement of the esophagus and the bowel. Gastrointestinal diseases – Disorders or diseases within the GI tract may affect not just the digestive process but the normal function of organs within the system. Generally, people with gallbladder dysfunction most likely have other co-existing symptoms with the gut, be it diarrhea, constipation, leaky gut, food sensitivities or parasites. Many of the symptoms of biliary dyskinesia are similar to other gallstone disease. However, what sets it apart is the absence of stones in BD. If you are experiencing pain or discomfort in the upper abdomen below the ribcage along with any of the following listed symptoms, and tests have shown that you are clear of cholelithiasis or gallbladder sludge, you likely have biliary dyskinesia. This can be confirmed by a HIDA scan. Biliary dyskinesia can also manifest as vague discomfort, dull pain, or it can be completely asymptomatic for many. 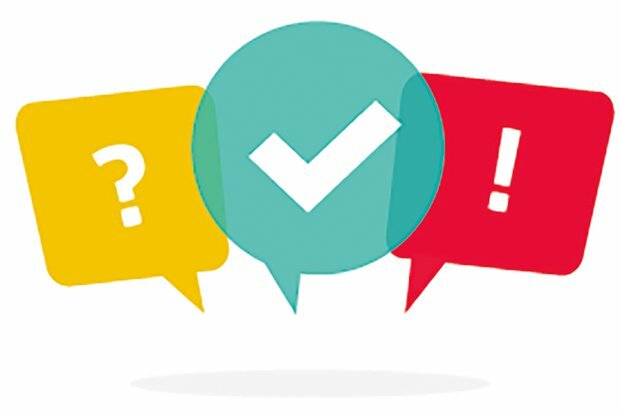 There are a number of tests that need to be conducted to confirm biliary dyskinesia. Biochemical Blood Tests – Since bile cannot leave the biliary ducts and gallbladder efficiently in the case of hypokinetic BD, blood tests can be conducted to see if there is a rise in bilirubin levels and alkaline phosphatase. Cholecystokinin Hepatobiliary Scan (CCK-HIDA) or Cholescintigraphy – This procedure is done by injecting a radioactive die that follows the path of the bile, ruling out gallstones in the bile ducts and viewing any other blockages, assuring that the bile is entering the gallbladder. Then the hormone cholecystokinin is used as a drug to stimulate gallbladder contraction and the amount of bile ejected with contraction is measured. Normal is approximately 33-42%. 0 % is indicative of a non-functioning gallbladder. Symptoms do not always coincide with the percentage of ejection. Oesophago- gastro duodenoscopy (OGD) – this is the process wherein a small flexible tube is made to pass from the esophagus to check the duodenum. During the procedure, a small amount of tissue may be taken from the GI lining or bile samples can be collected from the gallbladder. Ultrasound – Since the main qualifier for biliary dyskinesia is the absence of gallbladder stones as cause of biliary duct obstruction, ultrasound is often done first. Ultrasound can be enhanced by incorporating a secretin hormone that causes an increase in bile secretion. If there is a decreased ejection fraction during imaging, BD may be considered. Laparoscopic cholecystectomy – This less invasive surgical removal of the gallbladder is the most common course of action for BD patients and has been proven to be effective for many. However, it does not give 100% assurance that symptoms will no longer return. If you really must have your gallbladder removed, make sure to maintain a healthy lifestyle, diet and supplement with the After Gallbladder Removal Kit . Non-invasive Osteopathic Manipulation- Since removal of the gallbladder does not guarantee relief from biliary dyskinesia symptoms; this option should be seriously considered. Osteopathy is a form of medicine that focuses on the physical manipulation of muscle and bones. Make sure that you choose a doctor of osteopathy specializing in osteopathic manipulation rather than regular medicine. You can also consult with a good chiropractor if you have one in your area. Antispasmodics – Antispasmodics may also be an alternative route for treatment as these drugs help treat muscle spasms of the biliary system. However, people with GERD must be wary about taking these as antispasmodics may worsen it. Choleretics – These substances from food or supplements help stimulate the secretion of bile which may help improve ejection fraction and preventing the formation of biliary sludge which can lead to gallstones. Turmeric, Bile Salts and Gallbladder Bitters are examples of choleretics. Reduce stress – Addressing the stress in your life or how your body responds to stress is also worth considering. The gallbladder is muscle that needs to contract and relax during appropriate times and tension in the body can hinder this. Natural herbal teas abound tauting relaxation benefits including Chamomile and Vervain. Meditation techniques and yoga postures are also helpful. Adaptogen also helps with the way the body responds to stress. Biliary Dyskinesia Diet – A healthy gallbladder diet, similar to that for any gallbladder disease, must be strictly followed to prevent the recurrence of symptoms and minimize the pain. A diet high in carbohydrates and fats (i.e. the usual diet) results in fat infiltration of the organs, causing chronic inflammation and tissue damage. For details on what to eat and what cannot be taken, please click here. Coffee enemas – Studies have shown that coffee enemas may help stimulate the vagus nerve. These nerves play a crucial role in controlling the biliary motor activity during fasting and digestive periods. Stimulating it helps improve gallbladder contraction and overall motility. Treatment of underlying conditions – If conditions like food sensitivities, hypothyroidism or other diseases are causing your gallbladder to function abnormally, those must be addressed first before considering aggressive alternatives. Manage inflammation – Inflammation has a lot to do with the development of biliary dyskinesia. Taking our inflammation support products may help minimize inflammation and also manage the symptoms that go with it. Dr. Turumin of Russia recommends anti-inflammatory drugs (COX-2 inhibitors specifically for 5-7 days) followed by UDCA for 1-2 months. This is to address the inflammation in the gallbladder walls which inhibits optimal contraction. The UDCA helps to change the bile salt pool to a less toxic form of bile acids which result from gallbladder inactivity. Other supplements – Oral magnesium supplementation, digestive enzymes , and other pre-selected supplement sets like the The Starter Kit and the Stress Support Kit may be of great help. In terms of natural methods for working with symptoms, there is no research in this field either. However, I would suggest trying relaxation methods of all kinds, including but not limited to Castor Oil Packs which may help with the sympathetic and parasympathetic balance. Placement is over the abdomen which includes this nerve plexus. I might also consider working with methods to stimulate the vagus nerve which balances these two nervous systems.